As technology progresses and products become superseded, it stands to reason that obsolete technologies should be discontinued. For instance, Intel Core Duo processors have long since been replaced by the new Core i3/i5/i7 CPUs. But some tech products defy this trend and remain in production despite being seemingly obsolete. We take a look at several particularly old tech products that still are available to buy new and more importantly examine why. Ever compared the hardware and features of a Texas Instruments graphing calculator against a modern smartphone? What about their cost? Despite the fact that your smartphone vastly outstrips the processing power of your TI-89, the latter still costs as much now as it did ten years ago. It’s not like they’re putting incremental upgrades into the devices either—a graphing calculator from 2014 closely resembles one from 2004. If the graphing calculator market followed natural technology trends, the TI-89 Titanium would have features nearly on par with a smartphone or tablet or simply be discontinued. Yet Texas Instruments still holds a near monopoly on the market. A significant part of the reason why has to do with the College Board and standardized testing. They only allow select calculators to be used—no mobile devices, no apps. So thanks to SAT exams, TI graphing calculators will continue to be used well after they’ve been outdated. 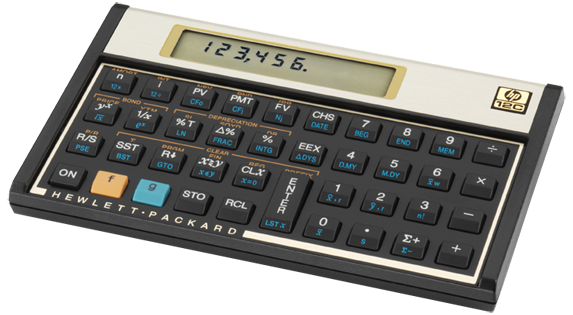 HP’s longest running product, the HP 12c is a staple in the world of finance much in the same way that the TI-89 is for academia. A must-have in any finance professional’s tool box, it has been in production since the early ‘80s. It features important finance and accounting functions, but nothing that can’t be done in Excel. HP also produced successors to the 12c, but those ended up failing while the 12c soldiered onwards. So why has it stayed in production for more than 30 years? Again, academia plays a part in that answer. Much like the TI graphing calculators, the HP 12c is one of the few allowed for use on finance exams. On one hand we gripe that SATA 6 Gbps isn’t fast enough for SSDs, but on the other we still buy and use magnetic tape for storage. Tape storage has been around since the days of UNIVAC and still gets updated every few years. The industry standard, LTO, was developed in the 1990s by IBM, Seagate, and HP as a volume storage solution for archiving. But why use tape storage? After all, it’s an old standard read sequentially and bulkier than a CD. It is because tape storage such as LTO offers large storage capacities (185 TB cartridges), durability, fast read speeds (More than 1 TB/hr), low cost per GB, and don’t require power for storage. For archival purposes, magnetic tape works best. Did you know you can still buy a pager brand new? You can get an unlocked smartphone for as low as $100 with no contract, but there is still a reason why you’d want a pager. For professionals in the healthcare industry, a pager is a must-have communication device. Doctors and EMTs are required to use pagers because they meet HIPAA’s strict privacy standards. In addition to healthcare workers, some government employees also get issued pagers as part of their jobs. In emergency situations, you want a pager because it uses very little power and can go days without a charge. In addition, pager networks tend to be more reliable and cover a wider area than cellular networks. The vast majority of Americans use broadband connections to get online, but a small minority still use dial-up as their preferred method. In May, AOL revealed that more than 2.1 million people were still subscribed to their dial –up internet service. It turns out that many aren’t interested in upgrading to a broadband connection while a smaller percentage said faster internet isn’t available in their area. For dial-up users, building a new computer will in most cases require you to buy a modem separately. Few desktop or laptop computers sold include 56k dial-up modems. For those people, we still carry the US Robotics V.92 Faxmodem. We’re not talking about hipsters using vintage typewriters, but rather brand new typewriters being used by government agencies and businesses. In this digital age where we can use backspace to delete mistakes with ease, some offices still rely on typewriters to fill out paper forms that were never digitized. More than a few New York City Police departments still use typewriters for that purpose, though there has been a push for them to fully digitize their paperwork. Even though all the technologies mentioned above belong more in the past than the now, they excel at filling specific niches. Whether those niches should even exist or not is up for debate, but until they’re gone we’re stuck with these technological anachronisms. What obsolete technologies do you still use? Is there a vintage NIXIE watch you have somewhere? We're constantly bombarded by new tech appearing every few months. However, some obsolete technologies have managed to hang on and overstay their welcome. When I want to watch anything particular, I use the Internet to stream whatever I want on demand, but when I can’t decide what to watch, I just flip the TV input to cable and watch whatever they happen to be broadcasting. I still have a home phone, because I have terrible cellphone reception inside my apartment building… Ironically, no one knows my home phone number, so only telemarketers call it, and I’ve disabled the ringer. I forget it’s there, and frequently step outside to have a clear cellular conversation. I just bought my parents a fancy new ultra book for Christmas and begrudgingly included an external DVD burner, because they share chorus concert recordings like cavemen. I’d teach them how to use YouTube, but I’ve already bit off more than I can chew by giving them a Windows 10 PC, plus, I prefer it to be more difficult for them to share their concerts with me. “Sorry, Mom/Dad, I don’t own a DVD player”. I actually use the cassette player in my car more than the CD player or radio, because I have a Bluetooth cassette tape, which plays my phone’s audio through my archaic car stereo.